Paw Patrol - Action Pack Pup & Badge as low as $5.19! You are here: Home / Great Deals / Amazon Deals / Paw Patrol – Action Pack Pup & Badge as low as $5.19! Paw Patrol – Action Pack Pup & Badge as low as $5.19! Attention Paw Patrol fans! 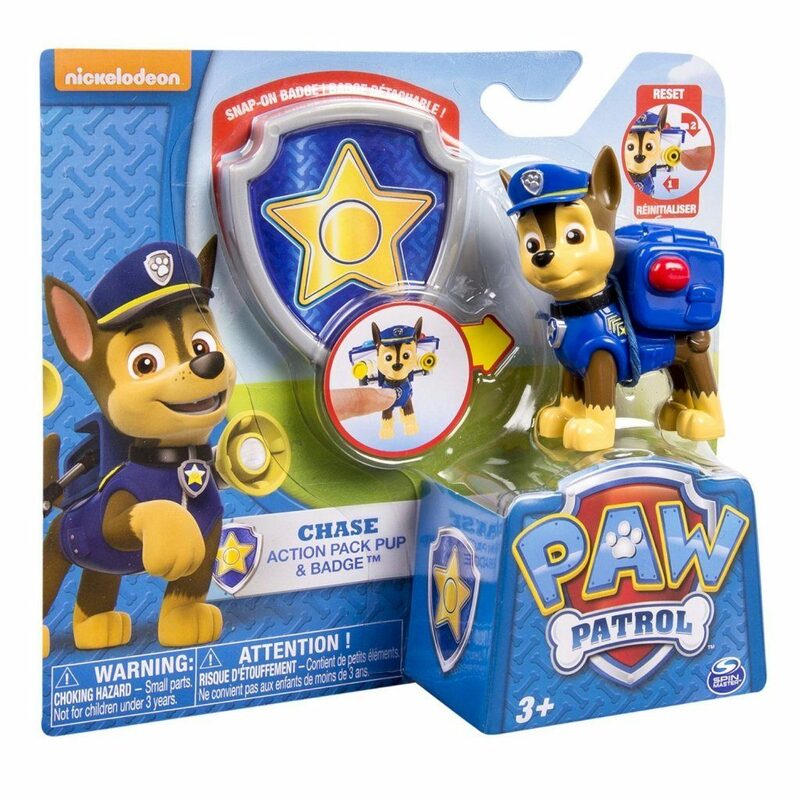 Head over to Amazon and get the Nickelodeon, Paw Patrol – Action Pack Pup & Badge – Chase for just $5.79! Shipping will be FREE with Amazon Prime or an order of $35 or more. Action Pack Pup Chase makes an incredible transformation as his Pup Pack unleashes a crowd-controlling megaphone! Now you can become a heroic member of the Paw Patrol when you wear the official Chase Police Badge that’s included! Collect each loveable Action Pack Pup and work together as a team! Marshall, Rubble, Skye, Zuma, and Rocky all have a unique transformation. Paw Patrol Action Pack Pups come to the rescue of Paw Patrol fans ages 3+. 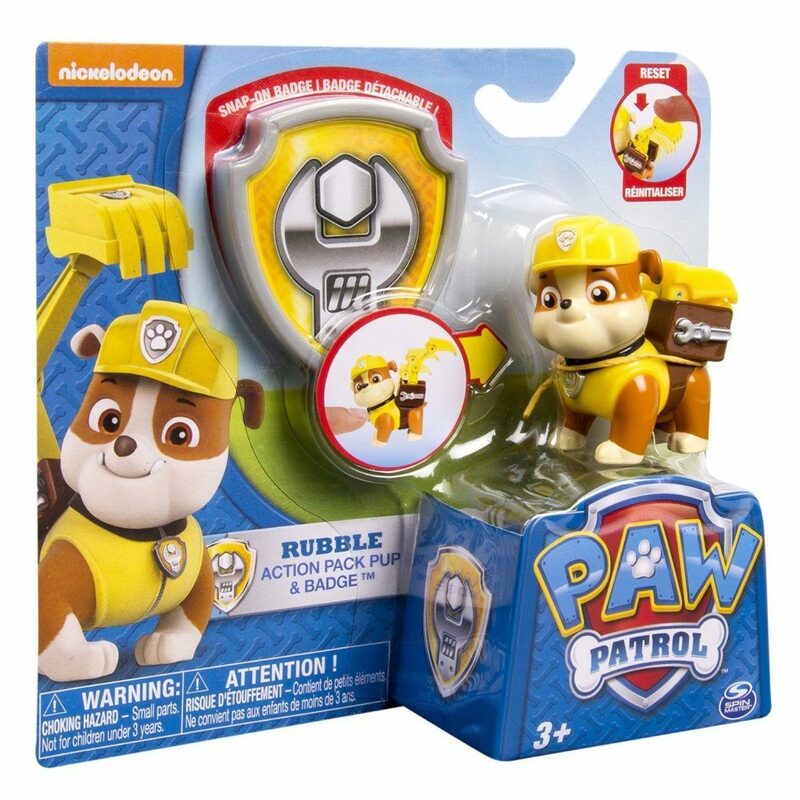 You can also get Nickelodeon, Paw Patrol – Action Pack Pup & Badge – Rubble for just $5.19! Action Pack Pup Rubble makes an incredible transformation as his Pup Pack unleashes a heavy-duty construction digger! Now you can become a heroic Member of the Paw Patrol when you wear the official Rubble Construction Badge that’s included! Collect each loveable Action Pack Pup and work together as a team! Chase, Marshall, Skye, Zuma, and Rocky all have a unique transformation.